Different Levels of Service at Bullet Proof Diesel - Explained! 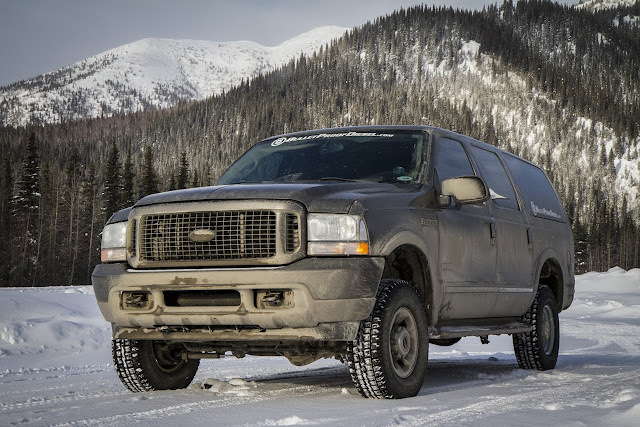 Sure, you know we test down in Baja - but we've also braved the Alaska frontier with a BulletProof 6.0L! We truly believe education is the key to success with the 6.0L Power Stroke. Over the years, we have compiled a number of articles and other bits of info to help folks get started on building a BulletProof truck. It's kind of a lot to take in at once, so here's an easy way to get familiar with the subject. Here's an easy-to-understand explanation of what building a BulletProof truck really means. Here's a great way to get started towards your reliability goals. In our experience, the stock OE engine oil cooler is the root of many of the problems on the 6.0L diesel engine, so we've developed a more permanent solution. This system will eliminate the stock OE engine oil cooler and oil filter system completely. 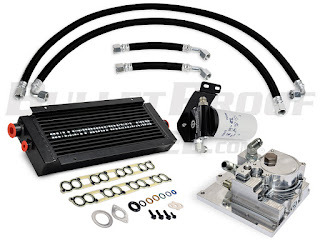 The BulletProof Oil Cooler Kit with BulletProof Filtration. The addition of upgraded ARP head studs is another great upgrade and can help to prevent future cylinder head gasket issues - here is the Head Gasket Set. Here is the solution for FICM problems on the 6.0L diesel: BulletProof FICM Power Supply. Here's the solution for water pump problems on the 6.0L diesel: the BulletProof Water Pump. When we perform a service here at our headquarters, we refer to a couple of different 'levels'. A Level 2 Service includes the oil cooler and EGR coolers, as well as the components of our professional install package. 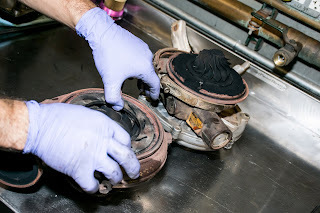 We also remove and clean the intake manifold, turbo, and other parts. You might be surprised at how dirty 6.0L turbos can get. A Level 3 Service means we're going to disassemble the 6.0L down to the block. Going beyond the level two, we pull of the cylinder heads and have them 'sleeved', that is, we insert metal reinforcement in the injector bore holes. This prevents fuel mixing with coolant due to small cracks that can develop in those bore holes. The Level 3 Service also includes ARP Head Studs, upgraded valve seats, and further inspection and cleaning of engine components. This service takes 4-5 days and involves extensive (hundreds of miles) test drives by our technicians to confirm the 6.0L is working as it should. Check out this magazine article that goes over the process. There are some add-ons you can include in either package: popular options include the previously-mentioned BulletProof Water Pump and BulletProof FICM Power Supply, as well as the BulletProof All-Aluminum radiator. Hopefully, this information will get you started in your quest for 6.0L reliability. That said, the Bullet Proof Diesel team loves to help people solve problems over the phone. Many a troublesome 6.0L situation has been discussed and investigated over our phone lines, and we've gotten pretty good at asking questions that help uncover what's going on. We're at (480) 247-2331 or (888) 967-6653.